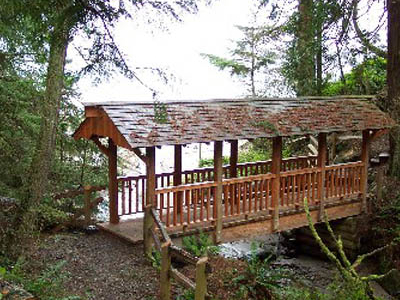 Sequim Bay State Park is a year-round, 92-acre marine camping park with 4,909 feet of saltwater coast in the Sequim "rainshadow," just inside Puget Sound on the Olympic Peninsula. The bay is calm, the air is dry and interpretive opportunities await visitors.The park has 49 tent spaces, 15 utility spaces, three restrooms and three showers.This marine park with its calm bay and dry air, is popular with boaters. Other features include a tennis court, baseball field, horseshoe pits, beach combing, interpretive opportunities and the paved Olympic Discovery Trail.Sequim is in the heart of Washington's "rain shadow," a region with markedly less rainfall than that of the surrounding area. Here's the our members favorite photos of "State Parks in Washington". Upload your photo of Sequim Bay State Park!